Dr. Duc Nguyen is a pulmonologist working in Simi Valley, California. 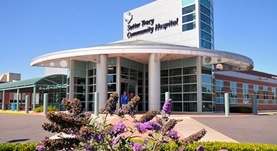 He offers his services at Sutter Tracy Community Hospital. He got his diploma from American University of the Caribbean School of Medicine and did his residency in Internal Medicine at Alameda County Medical Center. Dr. Duc Nguyen also did a fellowship in Pulmonary Disease and Critical Care Medicine at Cedars-Sinai Medical Center. The doctor is certified in Internal Medicine and Pulmonary Disease and has an experience of more than 20 years.